NASA’s asteroid-skimming spacecraft just blasted off into space without a hitch, completing the first step in a seven-year journey that will eventually bring us back several spoonfuls worth of dirt from an asteroid. 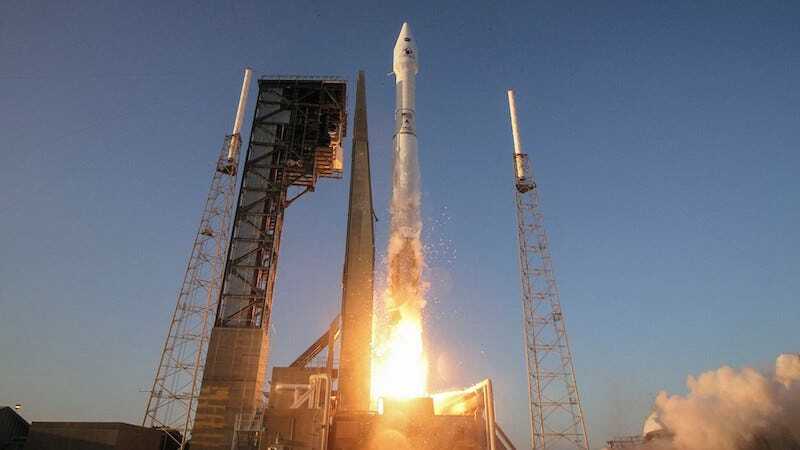 With lift-off taking place in Cape Canaveral, not too far from the site of SpaceX’s exploded rocket, there was some concern that residual damage from the destroyed rocket could delay OSIRIS-REx’s trip up today. But after a review, NASA pronounced the capsule ready and capable of launching on schedule. The Atlas V rocket carrying the craft blasted off seamlessly at the very start of its two-hour launch window, which you can watch right here. With a successful lift-off behind it, the journey is still far from over. The spacecraft is scheduled to separate itself just after 8 p.m. Then we’ve got seven more years to wait before the return capsule brings back a few scoops of asteroid dirt—and, perhaps, some answers to our questions about how life started here on Earth. Until then, there will be quite a bit to tide us over, including the results of a 2-year long mapping mission, which NASA scientists say will give us such a high-resolution map that we would be able to spot a penny on the asteroid. We’ll update you on its progress as the craft continues outward on its journey. Update 8:04 p.m. And at just after 8:04 p.m. as scheduled, OSIRIS-REx successfully separated from its configuration to continue on its journey. NASA still has a confirmation check coming up later tonight to ensure that the spacecraft is healthy, but all indications are that everything is looking great for the trip to Bennu. Now, the wait begins—first for the spacecraft to make its way out to the asteroid and then for the data (and dirt) to come back here.